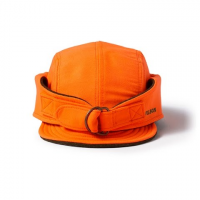 Blaze Orange Upland Hat provides high visibility. 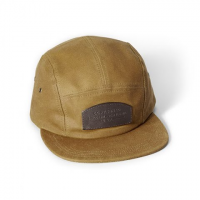 Very water-repellent and wind resistant. Lined with warm Mackinaw Wool. 2" bill vent holes for air circulation and cotton sweatband. Made in USA. 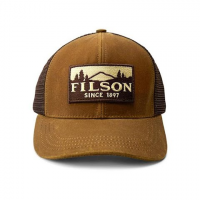 Its armor-like quality makes Filson `s Tin Cloth Wildfowl hat a virtual helmet in the woods. 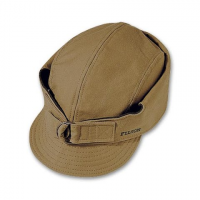 Water-repellent and wind resistant. Lined with warm Mackinaw Wool. 2inch bill. Vent holes for air circulation and cotton sweatband.